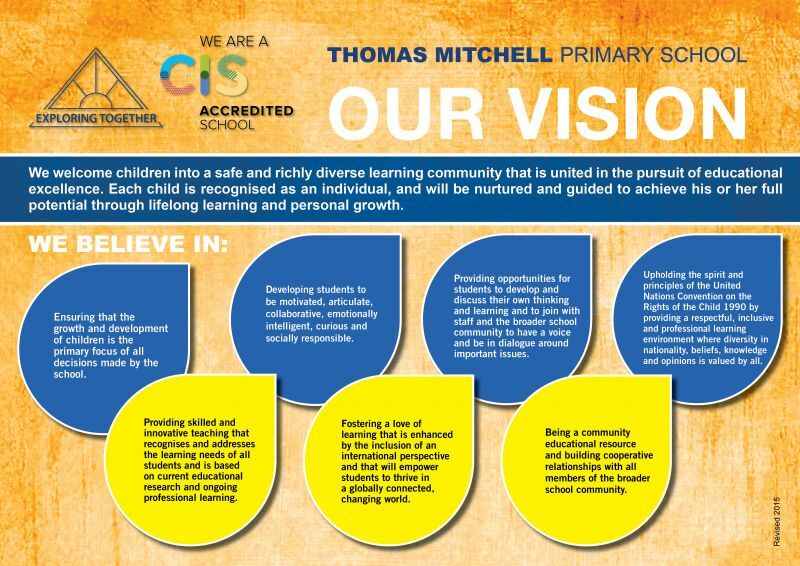 Welcome to Thomas Mitchell Primary School. Exploring together means students, teachers, staff and parents seek the best education for all children by providing a friendly, safe, nurturing environment. are united and happy in the pursuit of excellence in education. We have retained good traditional education and combined this with well-researched modern approaches, where each child is treated as an individual. More.. If you have other questions, or you would like to visit, please contact us. Friday 5 April is the last day of Term 1. School finishes at 2.30pm. School resumes on Tuesday 23 April at 9.00am. School tours are conducted every Tuesday morning at 9.40am and Thursday morning at 11.30am. 2020 enrolment packs are now available.